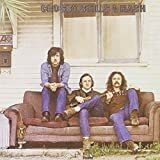 Crosby, Stills & Nash -- David Crosby (vocals, guitar; b. August 14, 1941), Graham Nash (vocals, guitar; b. February 2, 1942), Stephen Stills (vocals, guitar, keyboards, bass; b. January 3, 1945) -- have remained America’s longest-running experiment in vocal harmony and social relevance. The trio brought harmony to the forefront of popular music with their unique three-part vocal blend. A low-key supergroup, they emphasized singing and songwriting above all, and their example contributed to the evolution of the singer/songwriter movement in the Seventies. Born out of well-known groups that placed a premium on harmony, Crosby, Stills & Nash boasted impressive individual credentials before they joined forces in 1969. David Crosby sang and played rhythm guitar with the Byrds. Stephen Stills was a mainstay of Buffalo Springfield. Nash provided the high harmonies that helped make pop sensations of Britain’s Hollies. Even with those estimable prior alliances, Crosby, Stills & Nash would become their pinnacle as musicians. 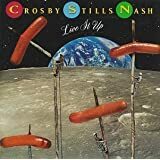 All our books on Crosby, Stills & Nash can be found here. All our audio on Crosby, Stills & Nash can be found here. All our video on Crosby, Stills & Nash can be found here.